We now have a date for Google I/O, Google’s annual gathering of developers. And thanks to a venue change, we have clue as to what might be on the agenda when the 2016 edition of I/O kicks off on May 18. Google CEO Sundar Pichai took to Twitter this week to announce that Google I/O would run from May 18 to May 20. “I/O ’16 coming to neighborhood where it all started 10 yrs ago: Shoreline Amphitheatre in Mountain View,” wrote Pichai, who promised more details on the event soon. The Shoreline Amphitheatre is an open-air concert venue just down the street from Google headquarters. In recent years, the company has held its annual developers conference in San Francisco. The switch in venues has triggered speculation that self-driving cars might figure prominently into this year’s developer conference. The Shoreline Amphitheatre is surrounded by parking lots where Google could more easily demonstrate driverless cars than on the busy streets near San Francisco’s Moscone West convention center. 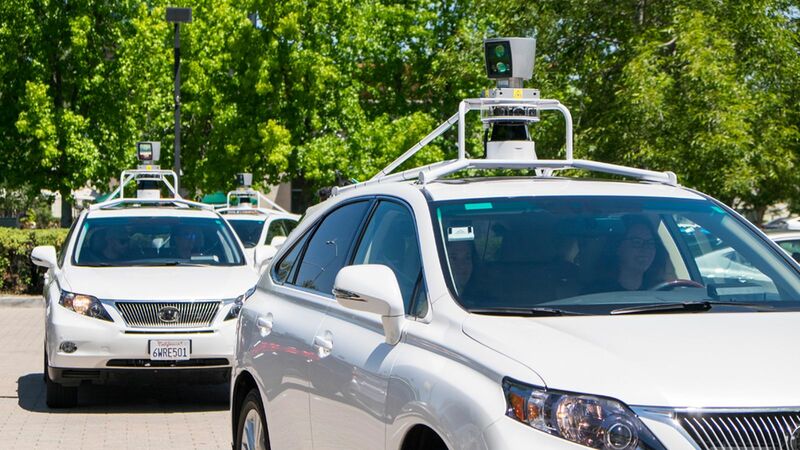 Google has been pushing forward with its self-driving car project, touting the safety benefits of driverless vehicles. The company says its testing these cars both in Mountain View and in Austin, Texas, and at this week’s Detroit Auto Show, the head of the project spoke about Google’s interest in speeding up work on driverless cars by forming more partnerships with automakers and part suppliers in 2016. Even if self-driving cars play that prominent a role at this year’s Google I/O, it certainly won’t be the only thing Google talks about. Typically, the company uses its developer conference to take the wraps off a new version of Android. In this case, it would be Android N’s turn in the spotlight, following 2015’s debut of Android Marshmallow. The agenda for Google I/O 2016 could also reflect a management change made at Google this week, when the company created a new division dedicated to virtual reality. Recode reports that Clay Bavor, a vice president for product management at Google, will lead the company’s virtual reality efforts. The move is seen as Google’s attempt to make a mark in the virtual reality market where Facebook’s Oculus, Samsung and HTC are currently competing for eyeballs. Google has taken some modest steps in VR, with its Cardboard headset giving people a low-cost way to enjoy virtual reality apps on their smartphones. It recently added spatial audio support to the mix, which means you should enjoy a 360-degree visual and audio experience. The company’s augmented reality effort, Google Glass, has been less successful, with Google going back to the drawing board on anew version of the wearable aimed at the enterprise market instead of consumers. Besides Android Marshmallow, the 2015 edition of Google I/O saw Google talk up Android Pay, its Brillo platform for connected devices, a new Photos app and updates to Cardboard. What do you want to see at this year’s Google I/O?